← Survival Skills Site: LAUNCHED. I recently wrote an article titled “How to Outwit Problem Marmots” for the About.com Survival Skills site, but last week as I was headed up the Flégère lift to go climb, I saw two of the little furry-carpet-rodents running around. They were right out there on the open trail, and they didn’t run for cover as we floated overhead. I’d say that here, in Chamonix–the heart of the French Alps, marmots are so used to seeing people that they’re not afraid to get out of their usual marmotland habitat. 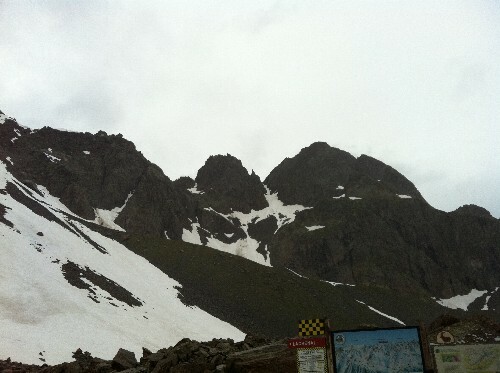 So…what counts as marmotland? The high alpine rocky area where we were climbing, for sure. And other popular climbing and hiking areas in the U.S., such as Rocky Mountain National Park, Glacier National Park, and Rainier National Park…among other rocky high places. We left early, knowing that it would rain in the afternoon. When we got to the start of our route, mist and fog enveloped us, but we began climbing anyway, thinking that it would pass. It did–just long enough for us to finish our route, rappel down, and start up another one. 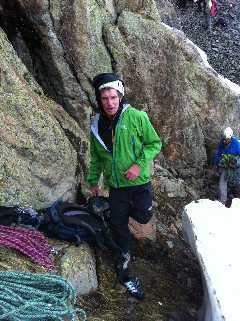 We eventually bailed off of that second route, as the rain came in. 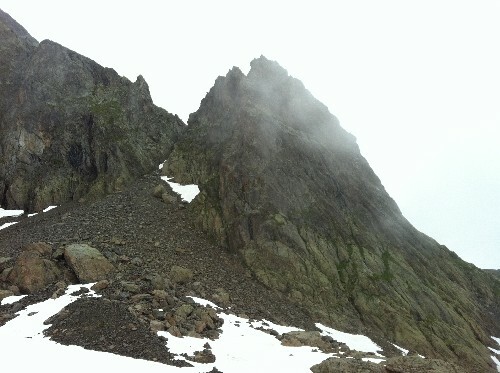 The Index–a famous, classic climb in the area–looked rather menacing as we faced it on our hike back down to the lift. 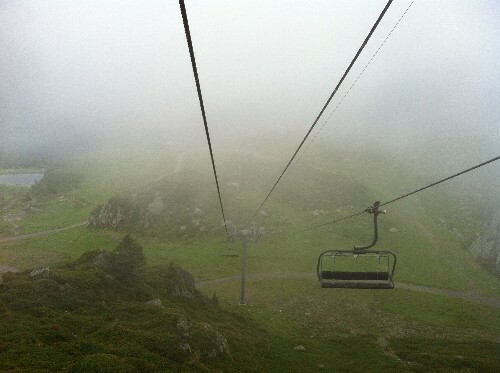 We sat down on wet seats and started our descent on the open lift chairs in a light rain, but soon we came out of the mist and back into bustling a Chamonix center. 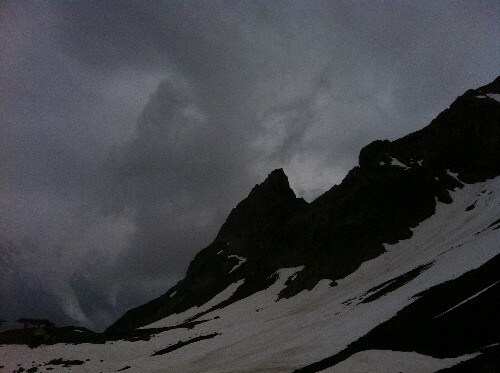 At least we outwitted the marmots–and nearly the rain. This entry was posted in Climate & Terrain, Plants & Animals and tagged Alps, chamonix, climbing, floria slabs, grande floria, marmots. Bookmark the permalink.